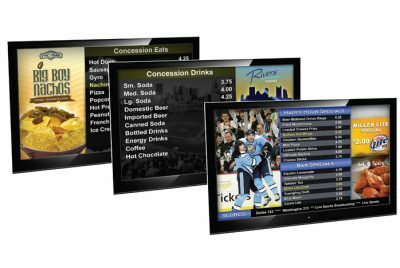 Digital displays and signage enable you to manage menu boards or promotional messaging right from your point of sale (POS) system. 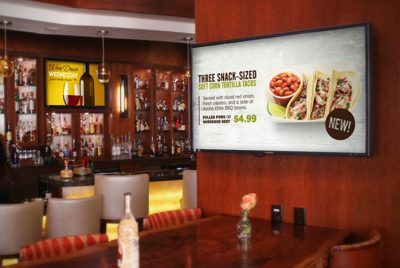 Digital displays and signage give you a powerful tool for capturing attention, promoting products, and upselling right at the point of sale. 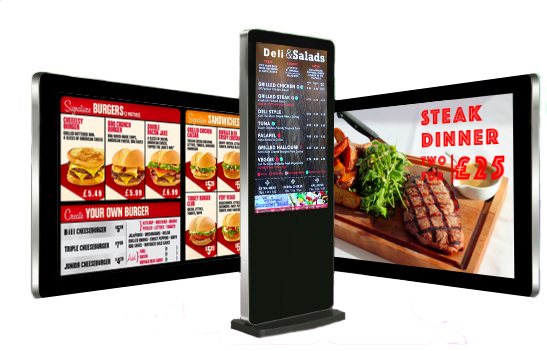 Digital signage, which is also called dynamic signage, allows you to display information, including multimedia content, to your customers or to the public. 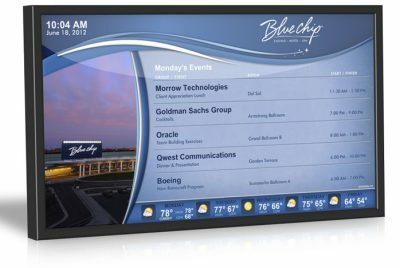 You can control or update the information displayed on digital signage with a computer or with a POS system. 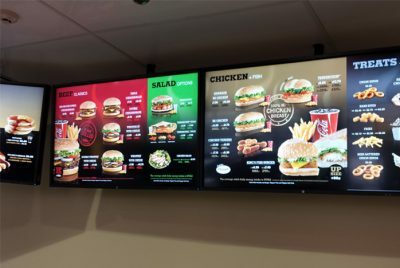 One of the most significant benefits of digital signage is that it enables you to update pricing, information, or content consistently throughout your store or restaurant, so it’s always up to date. Digital signage also enables you to capture attention and even entertain your customers with compelling digital content. 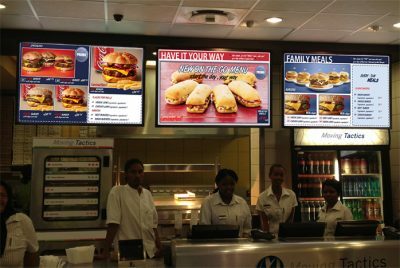 Interstate Cash Register offers a range of digital signage solutions with a variety of screen types and sizes. Contact our staff for more information or to request a quote.